MYGGP, offers its users a unique experience connecting with other like minded people in the entertainment and music industry. Take a look around our website and sign up for free to our social community, see how having a Golden Global Parties Profile can make your party going experience a whole lot better. In 2019 you can experience some of the best events worldwide from London to Ibiza, Plus enjoy maximum sunshine parties from Dubai to Dominican Republic. Look out for our new guide to global Festivals in 2019. SPECIAL OFFER CODE! Receive a Standard or VIP Membership Card for half price, that's right a whooping 50% off in 2019. Use this Discount code GGP2019 When placing your order. 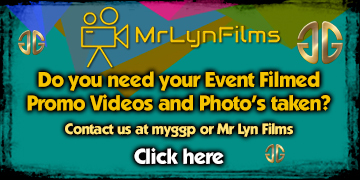 FREE access to GGP events. FREE access to our affiliates events. Access to VIP areas (VIP plan only). Discount at Hotels & online Shopping sites. Extra functionality in our community area on the website. An ever growing list of more goodness. Join our social community FREE of charge and have your chance to WIN free VIP membership for 1 year. You can share photos, VIdeos and Comments with friends, post messages on their wall and have access to a whole range of other features with a Guest account. Paying members can also get advanced notice of upcoming events, Discounts on Tickets for events, Hotels & High street stores, and have the opportunity to get free entry to events as well as more functionality within our community pages. See the benefits of being a member here. All of the events we run and those run by our affiliate promotors will be listed in our events pages. You can get all of the information you need about these events which may including purchasing tickets and, for paying members, getting onto the guest list. We are working on adding the ability for members to leave their comments about past events so that you can get a feel for events before you decide to go.